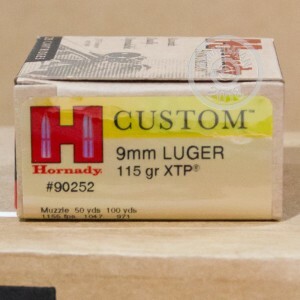 Hornady's XTP (Extreme Terminal Performance) is a highly effective, accurate and reliable self defense round. Hornady prides itself for making the most accurate ammunition possible, and this round is no different. 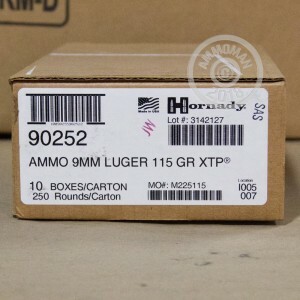 Almost all of the components that make up this ammo are produced by Hornady, in-house. Those components that are not produced by Hornady, are subjected to a strenuous set of quality control procedures, to ensure that their exacting standards are met. Each of these rounds are made to be the highest quality possible. They have outstanding stopping power, and are designed to not over-penetrate when used for self defense purposes. 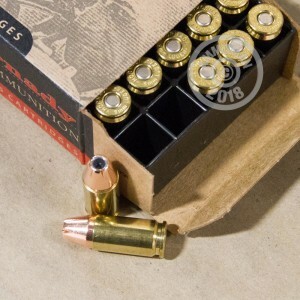 These rounds are non-corrosive, boxer primed, and have reloadable brass cases. Hornady has a goal of producing the most accurate ammo on the market. They have developed some of the best hunting ammo and self defense ammo available. They continue to refine their production methods and ballistics, to become even more accurate.